The Scottish Government has been accused of trying to wriggle out of a proposed US ban on imports of salmon from fish farms that shoot seals, according to the Sunday Herald. Internal emails released under freedom of information law reveal that officials have been trying to persuade the US government that the £766 million salmon farming industry should be exempt from the ban. They have also been co-ordinating tactics with three other major fish farming nations, Canada, Norway and Chile. But, according to the latest statements from the US, Scottish salmon farming has not won exemption. The industry has been officially listed along with other fishing operations worldwide as being covered by the ban. The US National Oceanic and Atmospheric Administration (NOAA) is proposing to ban imports from fishing industries that kill marine mammals in 2022. The aim is to apply the same animal protection standards to foreign fisheries as in the US. But fish farmers in Scotland have shot over 800 seals in the last seven years, including 49 in 2017. They are licensed by the government to kill the animals to prevent them from attacking and eating salmon. If the seal killing continues, the Scottish caged salmon industry could lose a very lucrative foreign market. Exports to the US in 2017 were worth £193m. Emails released to an anti-fish farming campaigner show officials from the government’s Marine Scotland repeatedly suggesting that “farmed salmon should be classed as an exempt fishery” by the US. They argued that it was very different from fish farming in the US. But salmon from 150 fish farms in Scotland is included in a long list of fisheries to which the ban will apply published by NOAA this month. According to critics, this means that the Scottish Government attempts to exempt fish farming have not succeeded. “I’m pleased the Scottish Government’s secret lobbying of Trump’s administration to weaken protection for seals has failed,” said Green environment spokesperson, Mark Ruskell MSP. Don Staniford, the campaigner who obtained the emails and now runs a new group called Scottish Salmon Watch, described seal shooting by salmon farmers as a “national disgrace”. He pointed out that some fish farm companies had succeeded in stopping the killing, but others carried on. “If Scottish salmon farmers want to export to the US they must stop slaughtering seals – no ifs, no buts, no bullets,” he said. One of the groups that had campaigned for the US ban was the Scottish charity Save Our Seals Fund. It accused the Scottish Government of wasting 18 months trying to “dodge” the ban. 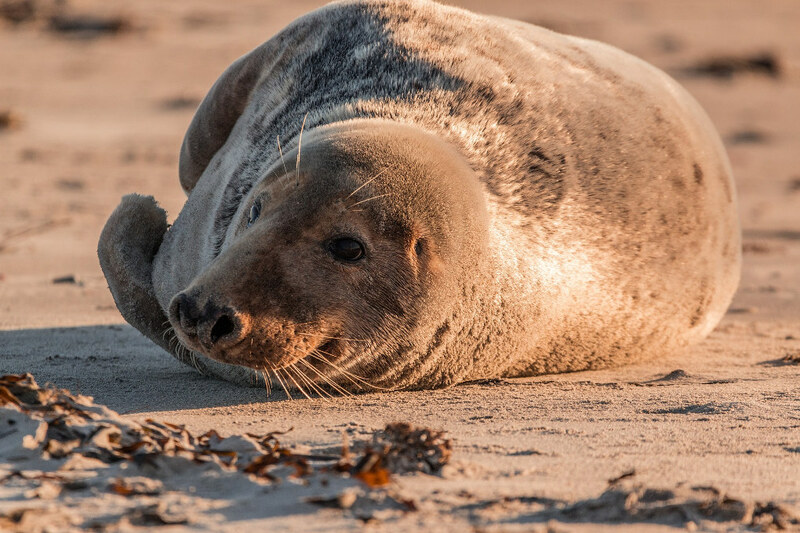 “By licensing seal shooting our government gives fish farmers in Scotland an unfair financial advantage over their American counterparts who invest large sums of money making their farms sea-mammal friendly,” said the charity’s John Robins. The Scottish Salmon Producers’ Organisation, which represents fish farmers, stressed it was committed to protecting fish welfare. “Our goal is to reduce the number of predator seals shot to zero while still being able to protect our own fish stocks from predator attack,” said outgoing chief executive, Scott Landsburgh. This article was originally published at The Herald on 25/03/18 as Revealed: Scottish Government bid to exempt salmon farming from US seal-killing ban.